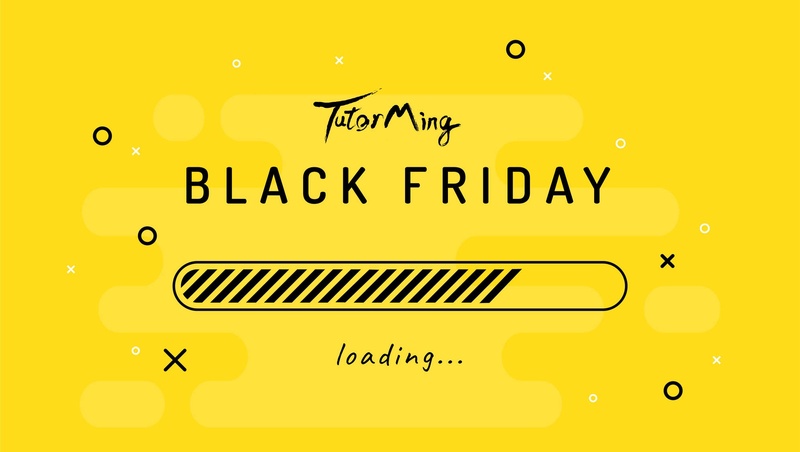 TutorMing Black Friday Special is Coming! From Nov 21st to Nov 28th, TutorMing has two special offers for all Chinese learners! You can get five 1-on-1 classes for only US $20. For the extra determined learner, we are offering the Master Package: 200 sessions at only US $14.1 per session.So if you just want to give learning Chinese a try, or you’ve decided to master it right away, we’ve got the classes for you. Now is the best time to launch your Chinese journey! Starter Package (80 sessions/6 months) Suitable for beginners who want to try learning Mandarin Chinese. Enhanced Package (120 sessions/1 year) For learners who want to reach conversational Chinese level quickly. Master Package (200 sessions/2 year) Our Special Offer for extremely motivated students who want to become a master in Mandarin Chinese. Coupons will be limited to redemption from products currently on-hand at the store. Limit one coupon per item purchased. TutorMing has the right to accept, decline or limit the use of any coupon. Coupon can only be used when you select "One-Time Payment" as billing option. As a paying customer, you are more than welcome to take advantage of our Black Friday deal. If you refer a friend to take TutorMing’s demo successfully, you can get the $200 coupon directly. Once the person you refer decides to get a full package, you will receive 10 bonus classes as well.